The Czech Republic has a nice, clean website that has answers to just about everything related to getting a visa for this country. As the U.S. State Department so eloquently states here, almost everyone will need a Czech Republic visa for longer stays or to work or study in the country. If you require a visa, be sure to do so well in advance (3-4 months) because the process can take a long time. 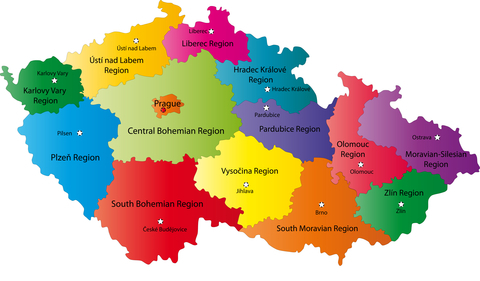 This site here put together by the Czech Republic Tourism Ministry is awesome. The photos from places around the country are outstanding. The Czech Government requires travelers to the Czech Republic to have proof of finances to pay for their stay. All foreigners seeking entry into the Czech Republic must also carry proof of a medical insurance policy contracted for payment of all costs for hospitalization and medical treatment while in the Czech Republic. According to the Czech Government, if you have a health insurance card or an internationally recognized credit card with health insurance included, it will generally be accepted as proof of insurance to enter the country.